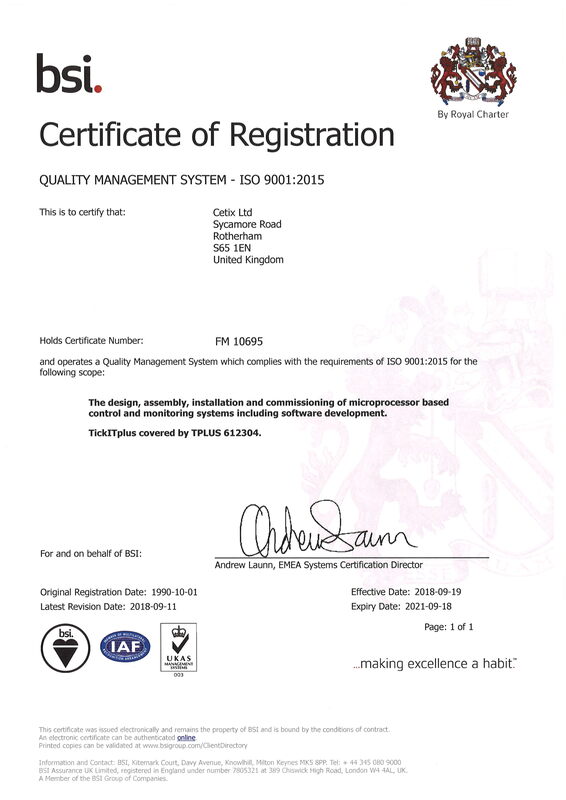 The company has been assessed and approved to the ISO 9001 : 2015 Quality Management System. The Design, Assembly, Installation and Commissioning of Microprocessor Based Control and Monitoring Systems, Including Software Development. TickIT.